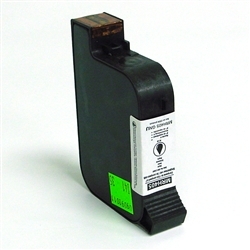 Compatible Data Pac DIB-C 0091 black ink cartridge for DP 100W, DP 140W, DP 200W, DIB-200W LPM, DP 200B, DP 240B, DIB-C postage label printing machines. Long decap time. Compatible in USA.